Stunning photography by fashion photographer Nigel Barker captures the beauty of these creatures in their natural habitat. Chilling fact: The gruesome act of seal hunting is still alive and well. According to the Humane Society of the US website, ninety-seven percent of the seals killed are younger than 3 months old, primarily for their fur, which is exported for use in fashion markets. Canada’s commercial seal hunt is the largest slaughter of marine mammals on Earth, with nearly 1 million seals killed in the past five years alone. Chefs for Seals, an organization of chefs and restaurateurs united with The Humane Society of the US and celeb fashion photographer Nigel Barker, are aiming to put it to an end with a movement that hits the heart and the wallet. On January 10th the tour stopped in Los Angeles with hosts Cat Cora and Nigel Barker, and I got to attend along with a bevy of LA’s best chefs, stars and supporters. 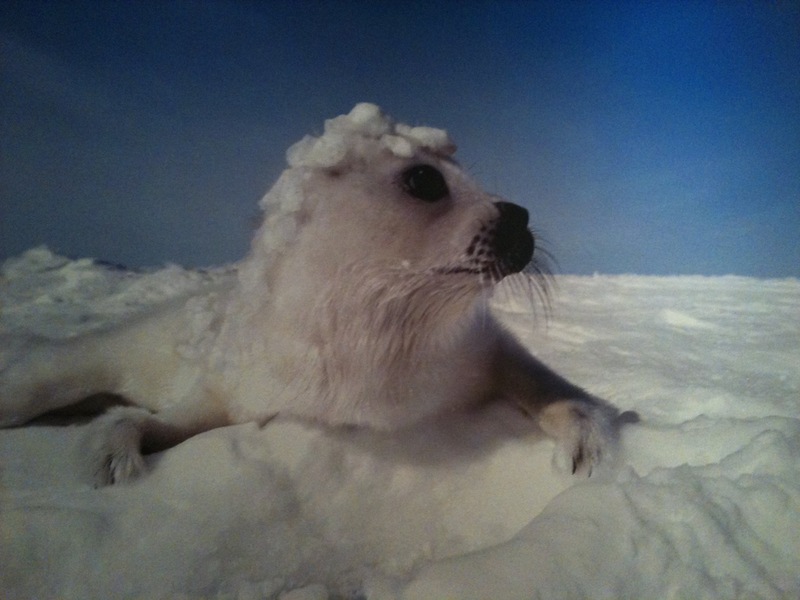 We got to observe the breathtaking exhibit of seal stills by Barker accompanied by unsettling descriptions of their brutal slaughter, a sea of red taking over the pristine white landscape. But the call to action for all of us was clear – boycott Canadian seafood. So what does Canadian seafood have to do with all of this? It turns out that the majority of the seal hunts or ‘sealing’ takes place in Canada and is part of Canada’s fishing industry. By encouraging restaurants, chefs and consumers to boycott Canadian seafood, it hits hard financially, as it’s estimated the the U.S. accounts for about two-thirds of its consumption. The Red Lobster restaurant chain has gotten a lot of heat in their kitchens as the world’s largest purchaser of Canadian seafood. However, over 5,500 restaurants and grocery stores have joined the boycott. Before you frequent your favorite seafood purveyor, visit The Humane Society’s website for more information on those who support the effort at http://www.humanesociety.org/issues/seal_hunt. It turns out we can all make a difference and a real impact with the color green – our dollars. 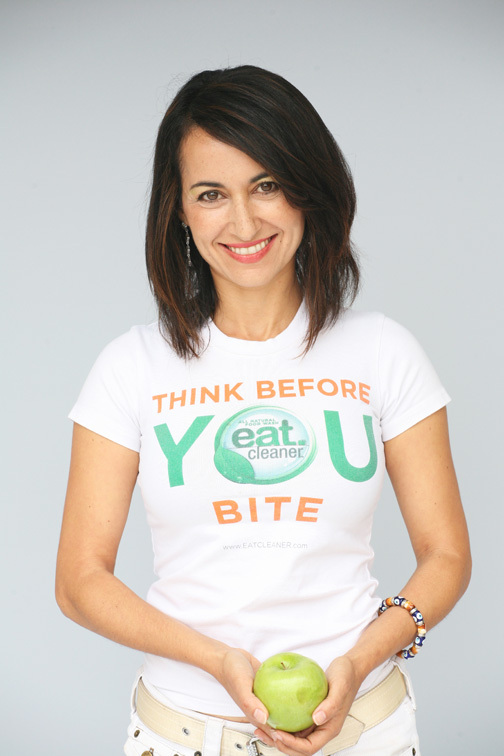 Mareya: Why did you align with HSUS and the Chefs for Seals initiative? 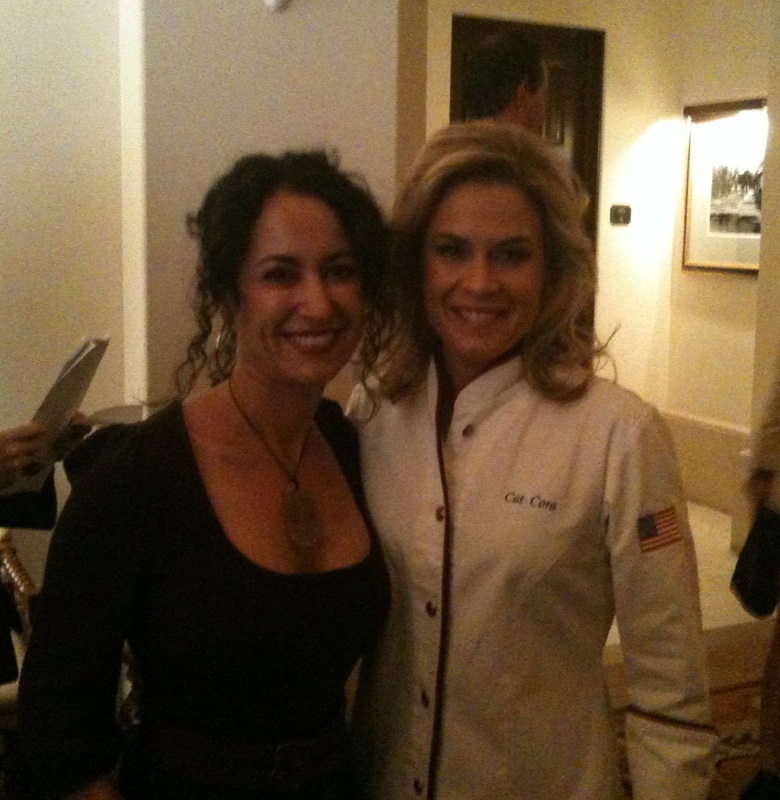 Cat Cora: I had the honor of cooking an all Vegan dinner for The HSUS at the Sundance Film Festival a few years ago, and have wanted to get involved & help where I could ever since. Mareya: Do you feel that by boycotting Canadian seafood, we’ll be able to stop the seal hunts? Cat Cora: I think that with chefs nationwide all joining together & boycotting Canadian seafood, by no longer providing the US market, this mentality will spread worldwide & eventually we can put an end to these unnecessary slaughters. Mareya: As a chef, how realistic is it to completely avoid Canadian seafood? Does it limit your offerings? Cat Cora: Not at all~ There are plenty of other sources offering great seafood, but time has to be put in to search for them — Definitely worth the time spent to save so many baby seals’ lives! Mareya: What would you like to tell consumers of seafood and our readers about Chefs for Seals? Cat Cora: If you’re a chef & or in charge of sourcing product for your restaurant/shop/market, please sign the pledge & commit to boycotting Canadian seafood. If you’re a consumer, please ask when dining out where the seafood came from to best avoid any seafood products from Canada, and always buy more locally farmed seafood from your fish market or grocery store. Talk to your purveyors to find out where they caught the fish, and to ensure they follow only humane practices. (CBS) When it comes to agriculture, America is indeed the land of plenty. Foods raised here and imported from around the world provide greater abundance and choice than ever before. But while our foods are bountiful, they’re also inconsistently regulated. The U.S. has one of the safest food supplies in the world, but the report card is mixed, reports CBS News Correspondent Bill Whitaker. Every year 33 percent of Canadians get sick from what they eat. In the U.S., it’s 25 percent. But in England it’s only 2 percent and in France just 1 percent. In both places food is grown more locally and on a smaller scale than in North America. For part of the CBS News series “Where America Stands,” a recent poll found that just one in three Americans are very confident that the food they buy is safe although the vast majority are at least somewhat confident that their food is safe. Safety always comes first in 12-year-old Rylee Gustafson’s kitchen. “I need to wash my hands … I touched my jeans,” Gustafson said in her Henderson, Nev., home recently. She, more than anyone, knows that even good food can hurt you. In 2006, on her 9th birthday, she ate a spinach salad and was infected with a virulent strain of e-coli. “It felt like killer pain, and my organs started to shut down,” Gustafson told Whitaker. Kathleen Chrismer, Rylee’s mother, told Whitaker that she panicked when she didn’t know what was hurting her daughter. “You really didn’t think you were going to pull through?” Whitaker asked Gustafson. “I really felt that bad,” she said. She spent 35 days in the hospital on dialysis. Today she’s still wary of fresh fruits and vegetables and has a damaged heart, kidney and vocal chords. Her story is just one example of the problem of food safety. Over the last few years, widespread outbreaks in spinach, tomatoes, peppers and peanut products sickened thousands and killed nearly a dozen Americans. 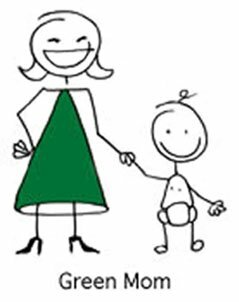 Every year there are 76 million cases of foodborne illness in the United States, resulting in 325,000 hospitalizations and 5,000 deaths. Today Americans consume more fresh produce, increasingly from imports from around the world. But imported produce is inspected even less than home-grown harvests. “Ninety-nine percent of the food that you’re buying at the grocery store that comes from foreign coutnries has not been inspected by the FDA,” said Erik Olson, director of food and consumer product safety at the Pew Charitable Trusts. Olson says the Food and Drug Administration is simply not up to the task. The FDA is responsible for 80 percent of the food supply, which is everything but meat and poultry. The number of food producers under FDA jurisdiction has increased, but the number of inspections is going down. Between 2001 and 2007, the number of domestic food producers increased from 51,000 to 65,500. At the same time, the number of producers inspected fell from 14,721 to 14,566, according to the Government Accountability Office. “They simply do not have the tools to really protect our food supply,” Olson told Whitaker. Gustafson traveled to Washington to share her story with members of Congress. She’ll probably need a kidney transplant when she’s a teenager. Until then, she just wants to see this bill pass. “I would love to see that so people don’t have to take the risk,” Gustafson told Whitaker. “They know that it’s probably not gonna have a bacteria that’s gonna kill you or your child.” Having safe food, she says, is not too much to ask. #10: Get More from Red. When it comes to nutrient packed veggies, we’re seeing red. 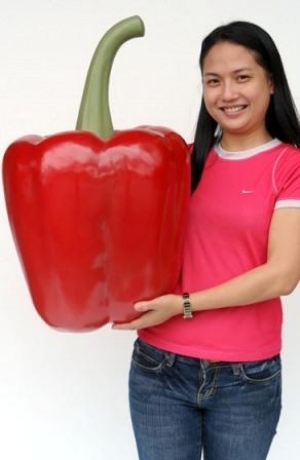 Red Bell Peppers can deliver a bunch of nutrients in a very small package. 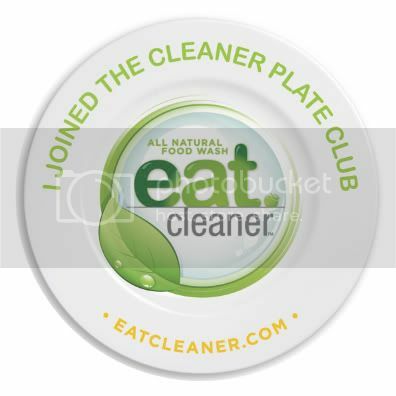 Sure you have to wash and cut them but with the help of Eat Cleaner, you can keep them fresher for up to 200% longer and they will taste even better when they are cleaner than you could ever imagine. So why Red Bell Peppers? Well besides their high amount of Vitamin A and C, two important antioxidants, they contain a good amount of vitamin B6 and folic acid. But unlike the other colored Bell Peppers, Red Bell Peppers contain lycopene, a carotenoid which is also another very important antioxidant and the most effective one as well. And it’s what separates the carrots from the red peppers. Lycopene is best absorbed when eaten with fat and one great accompaniment for red peppers is hummus; protein, vitamins and great go food at your fingertips. So make orange the new red! You are currently browsing the archives for the seafood + poultry wash category.